After the announcement of Jodie Whittaker as the 13th Doctor, we look back at another female Doctor. Plus a full week of Doctor Who releases, including Eighth Doctor stories and offers! With the exciting announcement of the 13th Doctor to be played by Jodie Whittaker from Broadchurch fame, we remember a Big Finish release that asked what if there was a female Doctor? 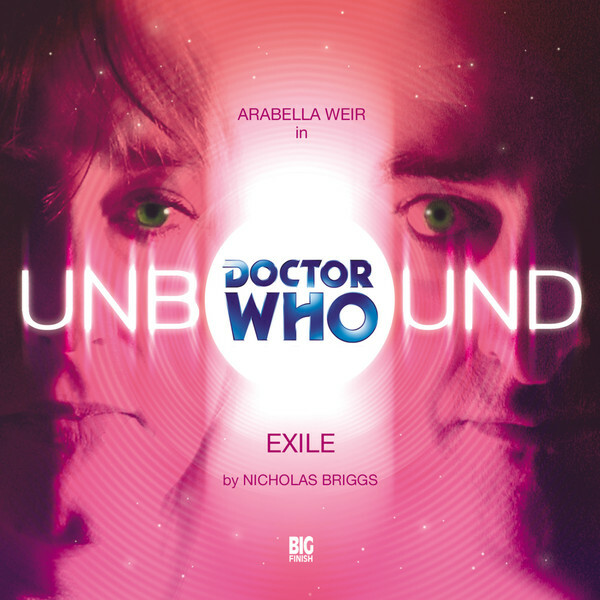 Arabella Weir played a female Doctor in Big Finish's Doctor Who: Unbound 6: Exile. The Unbound range looks at the Doctor Who universe and asks... what if? Starring Arabella Weir, Nicholas Briggs, and David Tennant before his role as the Tenth Doctor in Doctor Who, try a female Doctor for £5 on CD or download. And at the time of writing we have offers on our Doctor Who: Eighth Doctor stories with Paul McGann. Until the 21st July at 23:59 UK time you can save 50% off any CD or download purchase in the Eighth Doctor Adventures, Doom Coalition or Dark Eyes, with the offer code EIGHT50. Check out the review video for Doom Coalition below! On Monday we announced the cast list, episode titles and synopses for UNIT: Encounters, which brings Kate Stewart, played by Jemma Redgrave and her team against Daleks, Sontarans, and UNIT’s Greatest Threat yet… And don’t forget to pick up a copy of UNIT: Assembled before it goes up in price at the end of the month. Currently it’s £20 on CD and download! Tuesday we saw the release of The High Price of Parking, the latest story in the Doctor Who Main Range starring Sylvester McCoy, Bonnie Langford and Sophie Aldred as the Seventh Doctor, Mel and Ace. Wednesday saw the release in the latest of the Fourth Doctor Adventures, The Movellan Grave. Tom Baker and Lalla Ward are reunited against the Movellans, for the first time since Destiny of The Daleks, back in 1979. And Thursday saw the release of Flashpoint, the latest in the Short Trips range. Sheridan Smith plays Lucie Miller and narrates this fantastic tale, available for download at £2.99! Don’t forget to try this story alongside our offers on Lucie’s adventures with Paul McGann’s Doctor! And that’s the news this week! Come back next week for some spookier surprises in store.